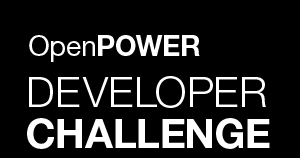 Join our OpenPOWER Developer Challenge Slack channel. You can use this channel to not only talk in real time with other participants (and maybe find a teammate), but also to ask questions of the competition managers. Just make sure to be respectful – we all have the same goal (building cool stuff). The GPU Accelerated Spark Rally is designed to get you, a member of the Apache Spark community, developing on the POWER8 platform combining today's most popular distributed big-data analytics platform with OpenPOWER GPU acceleration. Do you have an existing application that already uses GPUs for acceleration, but its confined to a single machine? Demonstrate the original (non-Spark) GPU application running on POWER8. Then demonstrate the Spark enabled application scaling to a second instance while still exploiting GPU acceleration on both nodes. You may want to leverage this Spark GPUEnabler Package (http://spark-packages.org/package/ibmsoe/GPUEnabler). B. Create a new Spark application that uses GPU acceleration, or add GPU acceleration to an existing Spark application. Demonstrate the Spark application scaling across 2 nodes first running without GPU acceleration. Then demonstrate the gains achieved after adding GPU acceleration to the Spark application. For example, modify Spark to enable GPU acceleration of a Spark MLlib algorithm, Spark GraphX algorithm, Spark SQL queries, or any other core function of Spark you can think of to accelerate with a GPU. Demonstrate the speed-up provided transparently to a Spark application using the Spark functions you accelerated (show the results before and after) scaling across 2 nodes. Feel free to start with some of the examples and work shown here (https://github.com/IBMSparkGPU). To get started with any of the above, log in to SuperVessel and spin up Spark Instances with GPUs (Spark, CUDA, compilers, and ipython notebook all preinstalled). Review our Resources page for full getting started tips and tutorials. Expect to be further rewarded if you combined two or more of 'A', 'B' and 'C' in your solution. Check back frequently for updates on the parameters of the Accelerated Spark Rally.